Why is Building Conservation Attractive to Women? 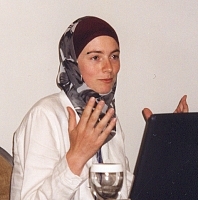 Ali Buxton during her presentation in Athens, FIG Working Week. There is a perception that Building Conservation as a career is different from the mainstream, and it appears to be more attractive to women - at whatever level - than many other careers in the construction industry. The growth of women in the workforce generally (some 50%) is nowhere near being matched within the construction industry as a whole - the CITB (Construction Industry Training Board) placed it at around 8.6% in 2000 across all positions. The various industry and professional bodies are actively supporting the need to attract women, with the CITB saying they want a 10% year on year increase in participation, the RICS (The Royal Institution of Chartered Surveyors) have their own Raising the Ratio working group and the RIBA (Royal Institute of British Architecs) have carried out research to find out "why women leave architecture." The initiatives that are working towards change might have something to learn from Building Conservation - while the shortage of skills is severe - this area of work holds an attraction to women, not found elsewhere. I work as an Historic Building Surveyor and as part of my final year Building Surveying degree I carried out research into why building conservation is attractive to women. My research shows that the majority of women working in Building Conservation did not agree that men heavily dominated their sector of the industry, whereas within other areas of the construction industry men make up approximately 90% of the workforce. I was able to conclude that women often perceived the construction industry to be “cut-throat”, “egotistical” and “financially beneficial”, whereas they thought Building Conservation required “patience”, “care” and “attention to detail”. Comments from some of the women who took part in the research suggested that as Building Conservation is a relatively new profession there are less ingrained attitudes regarding women working in a male dominated profession. A second suggestion was that highly skilled crafts men and women take much pride in their work and there is not the “foul mouthed”, “tea breaking”, “Daily Sport reading” builders that can be found in the trade sector of the construction industry. As a woman I know who I would rather be around day in day out! As part of the ‘Lets TWIST’ and ‘JIVE’ initiatives to encourage women into construction and engineering, I get the chance to talk to women and schoolgirls about my experience within the construction industry and Building Conservation. Many of the girls I talk to have an interest in Art and Design, History, Geography and Technology and once they have been enlightened as to what I do and how much I enjoy it, I often get feedback indicating lots of young girls wanting to take up Building Conservation. My research shows that when male and female sixth form students are told what Building Conservation is and what it involves 43% would consider a career in it and 49% would be interested in talking part in a work experience placement working with historic buildings. This positive result was gained by simply removing the ‘Construction Industry’ from the equation. The shortage of people working in building conservation could be reduced if more people were educated about the profession in a way relevant to their skills and interests. As building conservation rarely involves constructing anything, should it be labelled as part of the construction industry when recruiting? Maybe it is time to stand on our own two feet like Archaeology, which attracts many women. When I was choosing my career I couldn’t see where my interest of Art and History fitted into the construction industry, so I was put off from looking for a career in this area, and I certainly never saw any building conservation stands at any of the career fairs I attended! Thousands of pounds can be spent giving the construction industry a facelift to try and attract women, but a much cheaper option is to go in via the back door. There are many other sectors within the construction industry, especially on a professional level, that could benefit from recruiting outside the stereo typed construction industry heading. Many of the attributes that put women off entering the construction industry also deter many men. Many of these factors are not evident in building conservation but when access into conservation is through the construction industry many potential recruits are put off. With a growing need for people working in this sector, it is a perfect time for building conservation to stand on its own two feet and get recruiting for itself. Contact: Ali Buxton, School of Environment and Development, Sheffield Hallam University. Cathy’s first memory of surveying, at about age 11, was holding the “dummy” end of a long cold metal chain, while watching her father stomp his way through a trash pile covered in kudzu. This tape was nothing like the soft measuring tape she knew her mother had in her sewing basket; but she knew the measuring principles had some similarity. She noticed that her father kept his gaze toward the ground as though he was tracking an animal. She thought at the time that her Dad had one strange and crazy job. At first she saw no importance in this task he was performing and why iron pins sticking out of the ground randomly seemed to appear at the end of that chain. She did see layers of different colors of flagging on these pins and wondered who put them there and why. Why were some of the pins buried, and how did her father know exactly where to dig to find them? He took time to explain that the property lines they were measuring were invisible, which made her imagine being surrounded by all sorts of bizarre lines too small to see. When Cathy was not helping her father on the survey crew, her mother encouraged spirited and energetic playtime - outside of course. After a childhood of rough and tumble activity, Cathy and her sister were sent to charm school in their teens. They envied their brothers, who got to stay home. The sisters learned all the things young ladies are supposed to know, but Cathy remained very much an incurable tomboy. By age 17 in the late 70’s Cathy was working full time in the family surveying practice. Charm school training went by the wayside when there was field work to be done. She sometimes did not bother with makeup or a fussy hairdo. In this position she had to do EVERYTHING. The various duties included cleaning the office, running the rod, cutting line, marking and flagging stakes, ordering supplies, running what seemed to be millions of bluelines using what she calls a “glue sniffer’s dream” diazo machine, getting the payroll out, paying the bills and the ubiquitous “other duties as assigned”. In those days everything was handwritten or typed from a manual typewriter. Cathy learned how to collect money from mostly fifty something year old men, run punch cards through the card reader, how to Leroy, sharpen machetes without cutting herself, andpound truck loads of stakes into the hot Georgia clay. She took a break from surveying for a little while to attend a business college where she received a BBA in Marketing from Kennesaw State University in 1986. During summers and breaks she kept surveying. When she graduated, she realized that surveying would be her career and that she wanted to learn more about it. She went back to school and received a BS in Civil Engineering from Southern Polytechnic State University in 1989. She says she really did not take many surveying courses because of the way the school scheduled the classes. Most advanced surveying classes were only offered once a year and she missed out on a few she would have liked to take. However, she got an exposure to civil engineering and absolutely loved it. Cathy has co-owned C & C Land Surveyors with her husband, Taso since 1989. 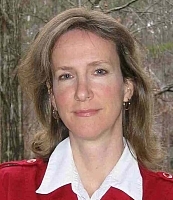 She was licensed as a surveyor in Georgia in 1992. She has worked on a variety of projects and especially enjoyed it when they were completed. She thinks it is tons of fun to operate a practice and great to write her own paycheck. She admits that sometimes that sounds comforting when you’re the only working on the weekend or a holiday. Surveying is so intertwined with Cathy’s personal life that the day before her first son was born, she hurried down to the county office to get some subdivision plans approved for a grading permit. She knew that was the only day she had for that particular errand and really felt the pressure of a hard deadline. She got the permit that day and the baby is now five. The most demanding and unreasonably client Cathy has ever had was a dream date compared to taking care of her two very rambunctious sons, so she added house bouncer and mommy to her list of many titles. She spends much of her time with her boys but still helps to manage the practice. Recently she had to show her husband how to do a pipe run in AutoCAD LD after not doing one in 5 years and it came right back to her. She found that amazing, just like riding a bicycle after a long lapse. Cathy is now engaged in developing what she hopes to be a groundbreaking website for geomatic professionals called SurveyingZone.com. Things have really changed since that day in the kudzu. Cathy thinks computers are marvelous machines. There are still a lot of fifty something year old men to collect money from, but now they’re more like contemporaries, and not nearly as intimidating. She has found that working with men for many years does interesting things to the female psyche; sometimes distorting a girl’s self-image. Nevertheless, she finds the quirks of men’s minds fascinating. She claims that if you’re around them long enough (and almost exclusively) you start seeing the world through their eyes. Given this small insight, she has learned that women are considered wonderful, kind, and nurturing. Women are also said to smell good and cry if you say something mean to them. Cathy has observed that society takes these same notions and twists them into something very different. She is thankful to all who helped her to see that truth. Cathy is still learning, too. She is busy with the challenges of understanding the concepts of observing GPS points, figuring out a new data collector, finding seven different ways to create a polyline and devising the best business strategy for saving time and money while improving employee retention. Cathy expresses amazement at how much to know about the art and science of measuring our big beautiful planet. She expects to always have a connection to land surveying and looks forward to what tomorrow brings. The site, initially launched in the fall of 2004, currently consists of a Job Zone, which allows visitors to post or apply for surveying related jobs, a Community page with bulletin board type postings through which visitors can communicate with and learn from other members of the surveying field, a Marketplace page set up like an online auction site where visitors can buy and sell used surveying equipment, or locate surveying equipment dealers. The Education component is currently under development and will have information about degree programs, continuing education, online learning and training on the latest software and tools available. Educational Quality appears as a relative and complex concept that takes for granted the idea of evaluating or assessing according to rules or preset standards. For that reason, it has been pointed out that the concept of quality when superior education is involved is a multidimensional one, which embraces all of its functions and activities. Therefore, its very nature demands an analysis of its component elements in order to reach a clear understanding. The point seems to be that evaluation pursues the reflexive analysis of functions and activities in view of mechanisms leading to the institutional and academic improvement. Wilson (1992) has related the teaching quality to the teachers’ qualifications by defining it as the ability to put into practice the most appropriate curricula. His viewpoint stresses the importance to teachers’ formation, not only in the teaching methods and techniques, but also in the subject he/she deals with. Thus, the postgraduate degree formation in specific areas of Surveying, is nowadays presented in Argentina, as the cornerstone leading to the formation of scientists and academicians who may in turn, nurture research centers and university classrooms, with the ability to create new knowledge and new technologies, and to feedback postgraduate degree education. And it is this fourth level, the natural and necessary base for the development of a coherent academic career, since it facilitates the formation of a university culture which allows institutional evaluation, not only at institutional level, but also as teaching programs, research and community services are concerned. The Argentine experience in postgraduate degree education in Surveying is a recent one. In this way, the Surveying Doctorate of the National University of Catamarca, which began in the '90s, constitutes the first Doctorate in its type -and so far the only one- in Latin America, recognizing its antecedents in the German university programs of Surveying. This proposal of maximum academic level whose main objectives aim at deepening knowledge to reach excellent levels of training in the chosen specialty and to acquire scientific formation to drive with success investigations in surveying, it is exclusively directed to Surveying, Geographer Engineers, and Geophysical Engineers whose degree studies are equivalent to that of the career Engineering in Surveying of the National University of Catamarca. The duration of the Doctorate is variable, a 2 year-old minimum and a maximum of 5, so that each candidate accredits the cycles of both specialized and of complementary formation that will develop according to his own choice of courses in the specialized area, in different universities at home or abroad. The candidate should also pass an exam demonstrating his mastering of two foreign languages, and to write a Doctoral Thesis that means an original research contributing to a chosen field of knowledge humanistic, scientific or technological: the project for this theses should be approved by the Commission of Doctorate. Finally, the candidate defends his Thesis openly in front of a board of experts. Since the creation of the Doctorate in Surveying, there has been a registration of 36 candidates coming from different countries of Latin American: Brazil, Uruguay and Guatemala. Although a significant percentage abandoned or they deferred the program, four candidates have been awarded the Doctor’s degree. 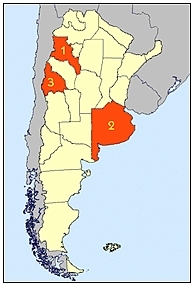 Three of them reside in Argentina and the remaining one in Brazil. The main difficulties that have blocked the continuity of the career reside in the lack of economic support for the development of and the shortage of economic resources that prevails about in the region. In this sense, the establishment of cooperation nets with other institutions having a higher degree of scientific and technological development. On the other hand, our country did not have a system of intermediate formation between the Engineering in Surveying and its Doctorate. This situation led authorities to reorganize the design of postgraduate degree careers such as Diploma and Master degrees, as the Diploma in Valuations and in Georeferencing that were created in 1996 by the National University of San Juan and the Master in Geomatics that implements the National University of La Plata. Anyway, and it is fair to state it, an educational offer of postgraduate degree courses exists in the country that is not only dedicated to the graduate ones in Surveying, but it also includes a wide range of areas of interest embrace within the professional field, as the Doctorate of Geophysics implemented at the National University of Rosario that has already awarded this degree to two surveyors and likewise it should be pointed out that a reduced group of Surveyors has carried out or they are carrying out postgraduate degree studies at the moment in other countries. As of the last decade, some postgraduate degree proposals in areas of interest of the Surveying have been developed in Argentina, and although their history is very recent, they expect to meet the demands for highly qualified human resources in the profession, with growing participation in investigation so as to generate new knowledge and new technologies. Nevertheless, the observed difficulties show different aspects that should still be overcomes, as the scarce institutional support and the faulty financing based on the criterion of self-financing of the postgraduate degree careers. There is not doubt that the success of a national program of academic, scientific and technological excellence, properly planned and coordinated mainly depends on the convergence of three essential factors: human resources, infrastructure and financing, the first two are highly dependent on the last one. The present challenge facing the postgraduate degree formation in Surveying, consists in offering opportunities on equal terms with the aim of increasing the number of highly qualified human resources to secure the research in Surveying and feedback the postgraduate degree formation. Roberto Ruiz Torrealba (1992) who was Academic authority of the University of Venezuela, affirms that when the own University strengthens the postgraduate degree formation, it begins to demand higher credentials for the entrance to the educational and investigation staff, this requirement contributes to the increase of the academic level and it allows the recovery of the normal academic circuits. Therefore, the challenge faced today by postgraduate education consists in obtaining equality of opportunities and in widening -in the short term- the horizon of highly-qualified human resources in order to strengthen research on Surveying and contributing for academic excellence. The fourth level, natural and necessary basis for the development of a coherent academic career, facilitates the shaping of a university culture that admits institutional evaluation, at the level of the institution as well as at the levels of its programs in teaching, research and extension to the community. “I am proud to be a civil engineer. I am proud to have served as your president. I am proud of our engineering heroes all around the world.” In her parting words last September, at the close of her presidency of the American Society of Civil Engineers (ASCE), Patricia D. Galloway, P.E. summarized her term of office, a year in which she had consistently promoted the civil engineering profession. Earlier this year, a national report on science and engineering had indicated an uncertain future for United States leadership in those fields. Although jobs which require such training continue to grow, there is a decline in the number of United States citizens who are training to become scientists and engineers. During her presidency of ASCE, Galloway encouraged American engineers to help brighten this bleak forecast. “Today’s young people, especially girls, require role models and mentors to give them the hands-on guidance and encouragement that will help them consider an engineering career,” Galloway said. She then announced a joint venture by ASCE, the American Association of Engineering Societies, the Society of Women Engineers, and the National Academy of Engineering, to develop an educational initiative to inspire young women to choose engineering as a career. To begin the project, ASCE is launching the publication, “Women Engineers: Extraordinary Stories of How They Changed Our World.” Educational materials will be developed next, along with a television documentary and national outreach programs. Support for the project includes organizations which represent more than one million engineers nationwide. Deliverables designed for this project will meet the following goals: (1) demonstrate to students from all backgrounds that engineering is an exciting career path; (2) promote diversity within the engineering profession; (3) motivate role models by celebrating the achievements of women engineers; (4) increase public awareness about the importance of engineering in everyday life. Web initiatives, including virtual museums, help promote women’s role in science and technology. Examples include (1) www.girlgeeks.org (women in computing); (2) www.engineergirl.org (women in engineering; (3) www.chemheritage.org/women_chemistry/ (women in chemistry); and (4) www.ieee-virtual-museum.org (women in electrical technologies). American geomatics began as part of the engineering field. Therefore, surveyors and mappers in the United States maintain close ties to ASCE. American women in surveying have conducted recruitment activities since 1983, and the Society of Women Engineers has been doing the same since 1950. As Galloway completed her term as president of ASCE, she encouraged ASCE members to offer their help with the education project by visiting www.engineeringwomen.org. All interested persons may assist, and may contact Galloway directly through patnwg@aol.com.